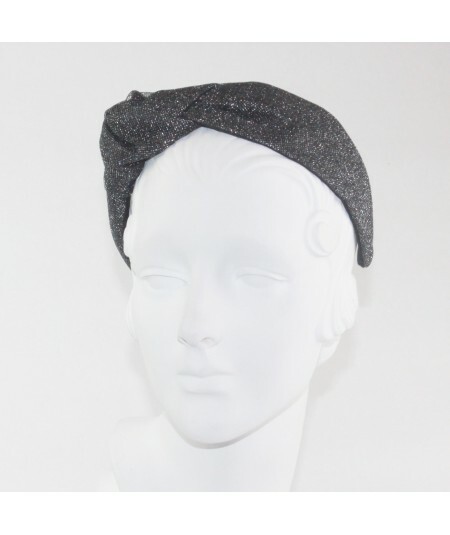 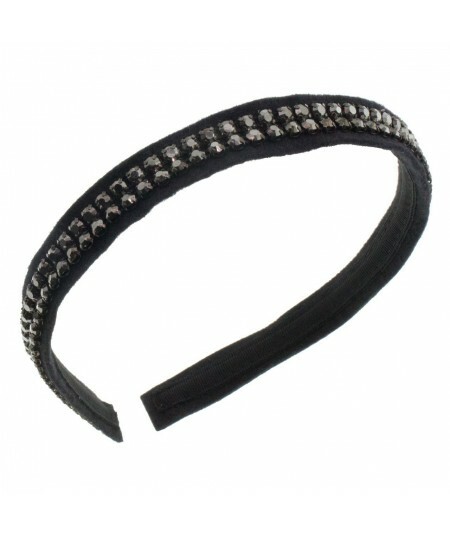 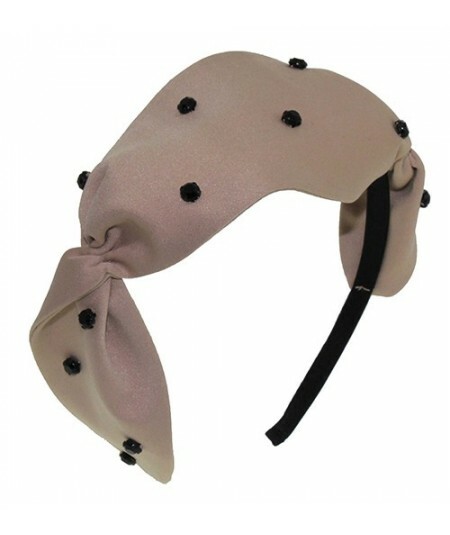 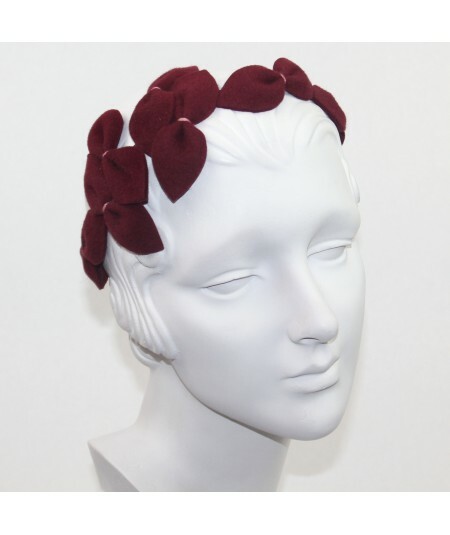 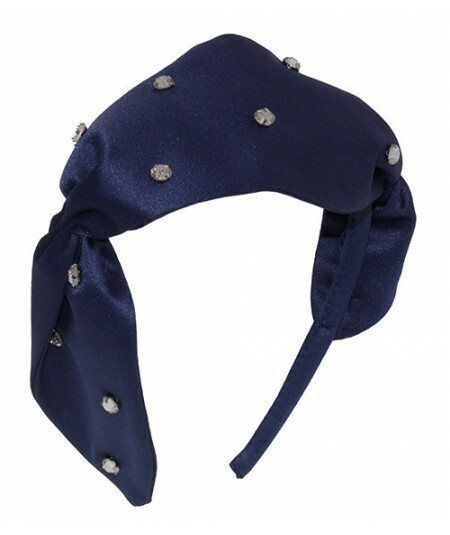 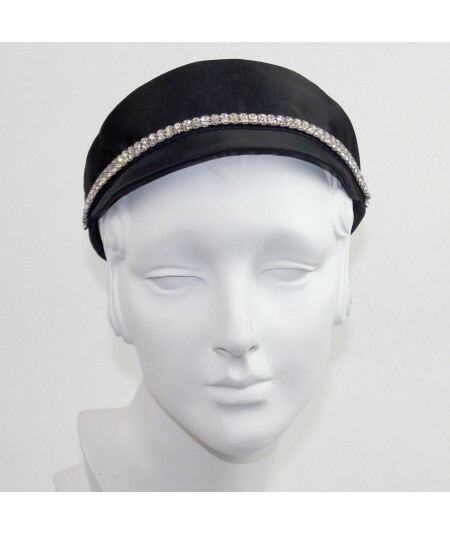 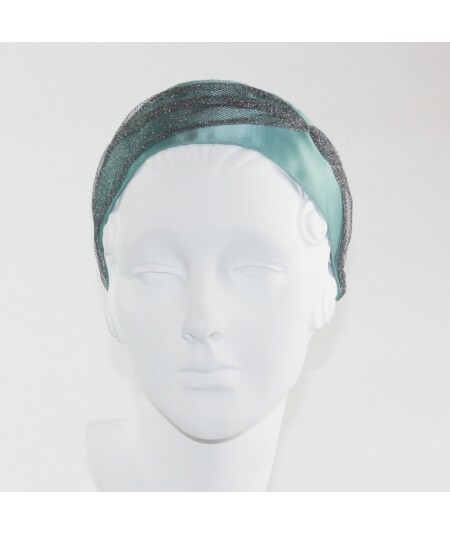 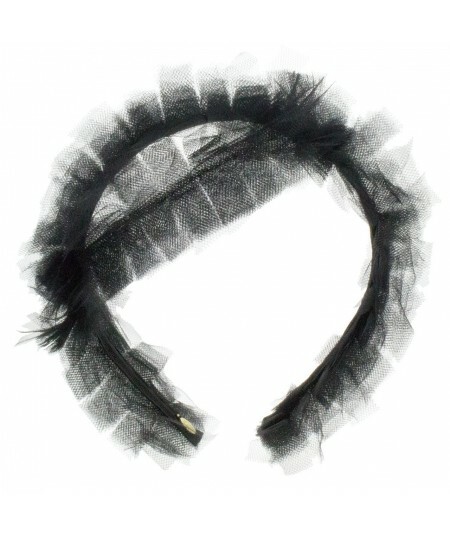 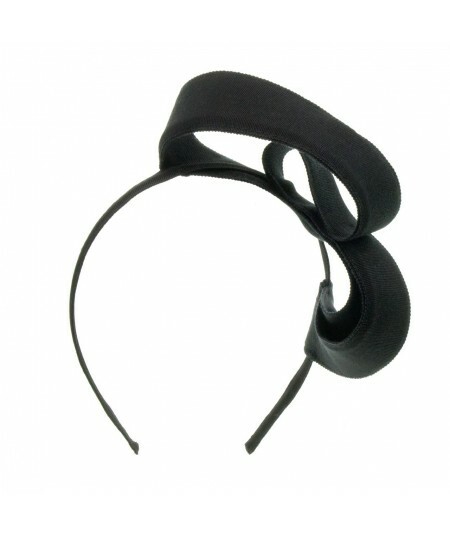 "Rhinestone on Felt Headband. 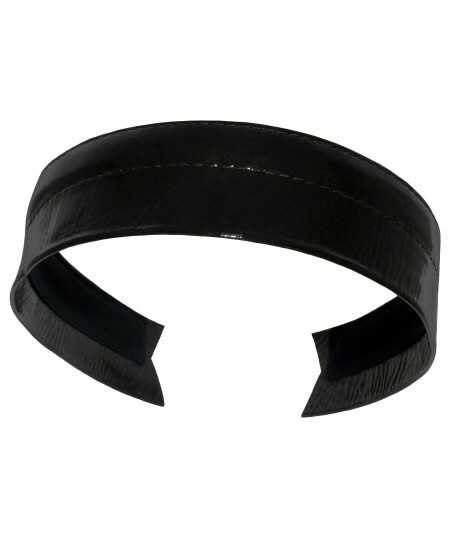 Approximately 5/8"" Wide. 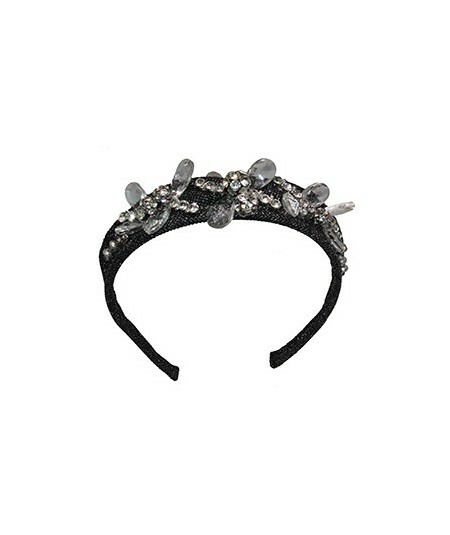 nA Great Simple and Elegant Style for Brides.nPictured: Off-White with Crystal, Black with Crystal, Red Purple with Purple, Dark Navy with Blue, Charcoal with Gunmetal, Black with Peacock, Black with Black"
Satin Bow On Black Grosgrain Band With Black Veiling And Black Satin Vintage Leaves. 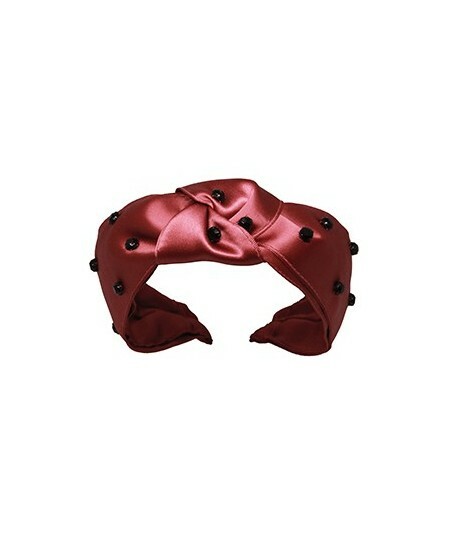 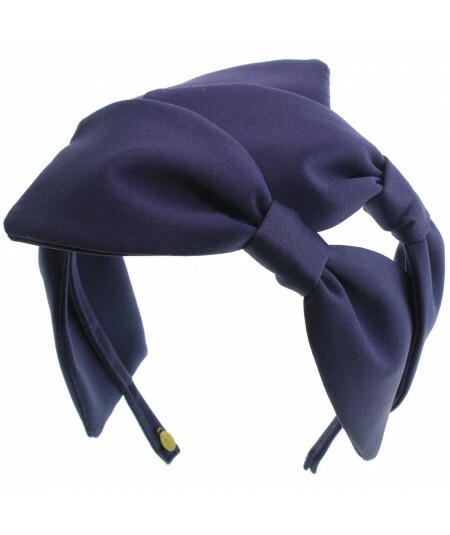 Choose your Satin Bow Color. 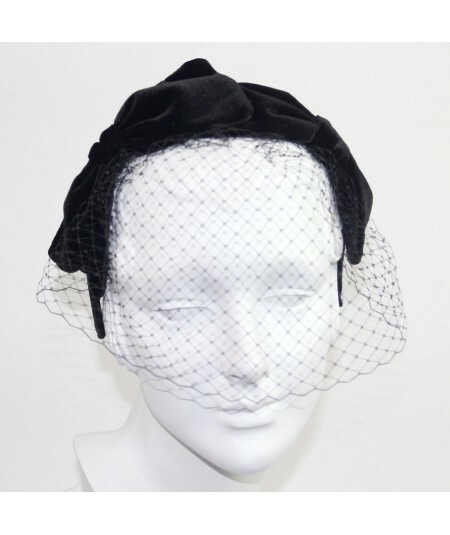 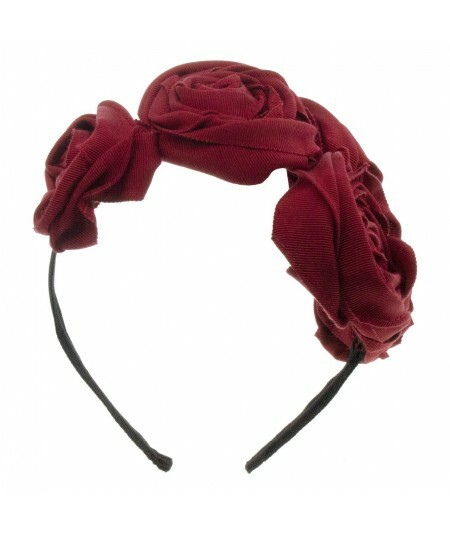 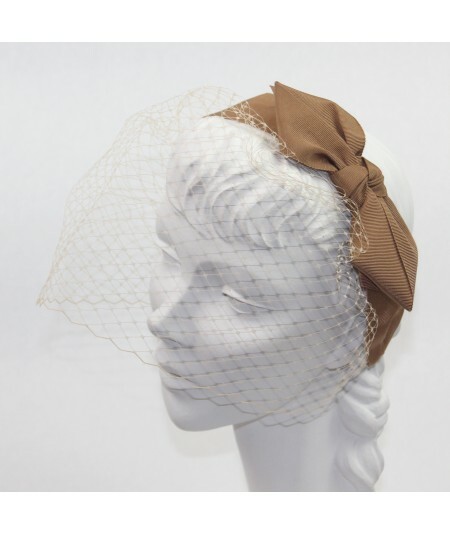 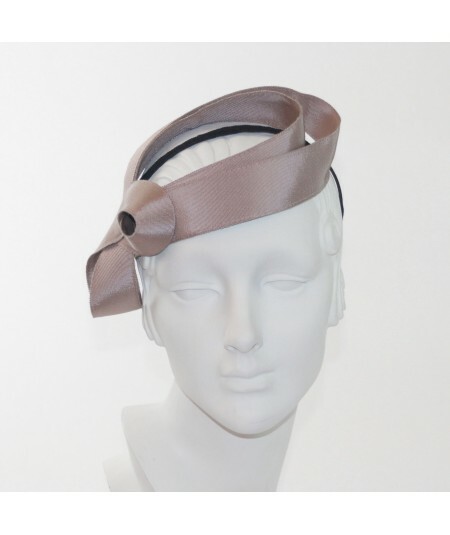 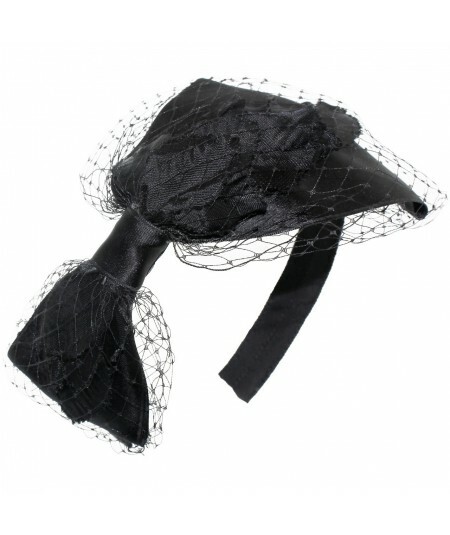 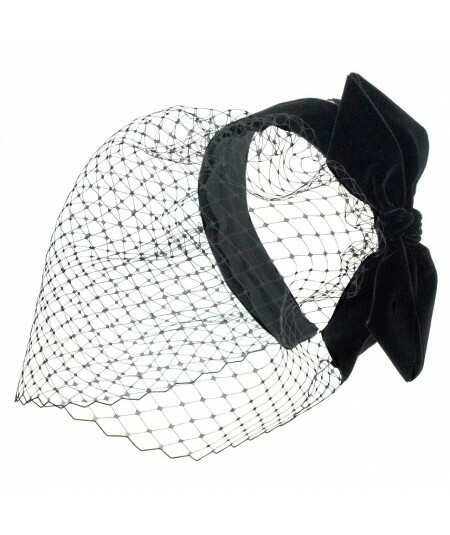 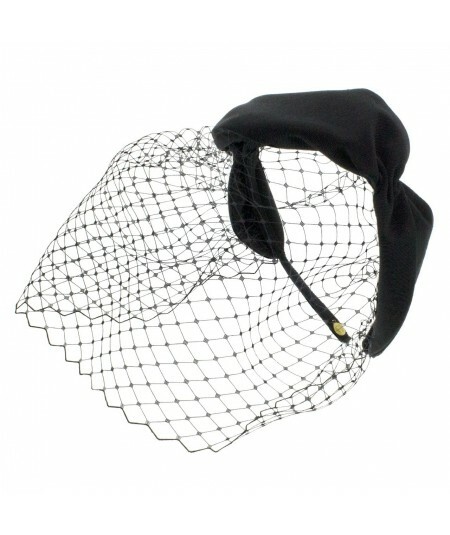 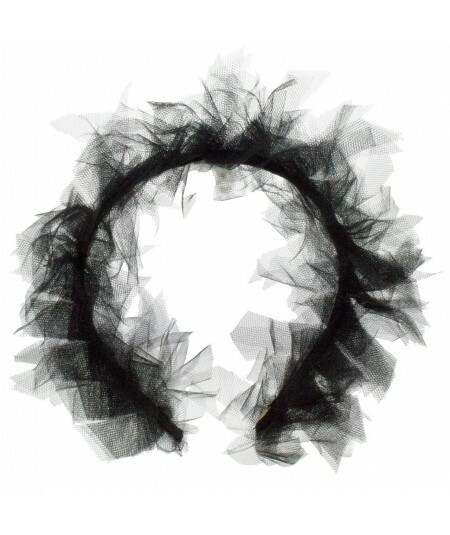 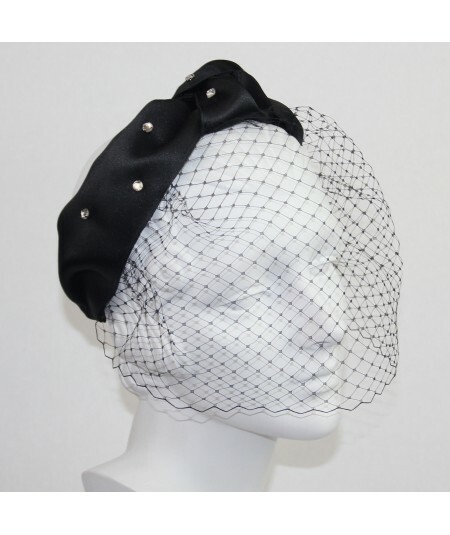 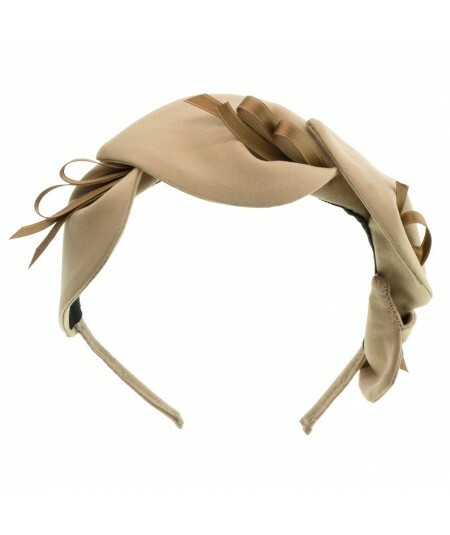 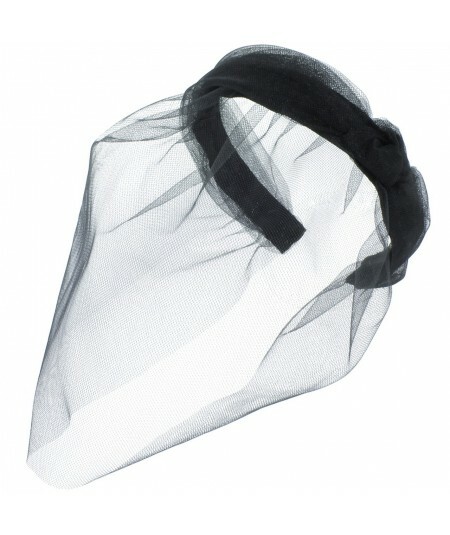 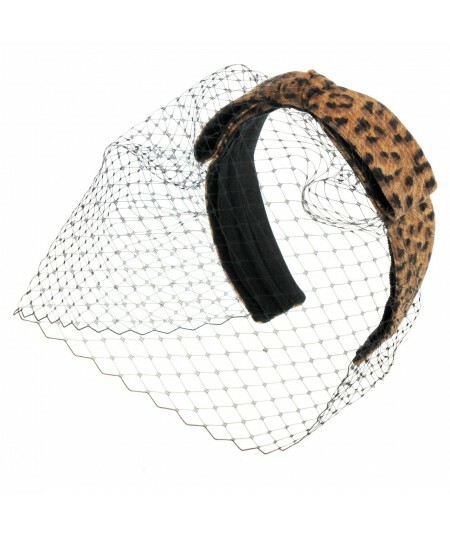 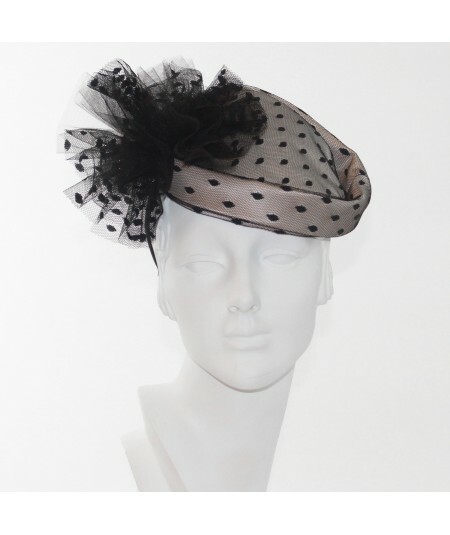 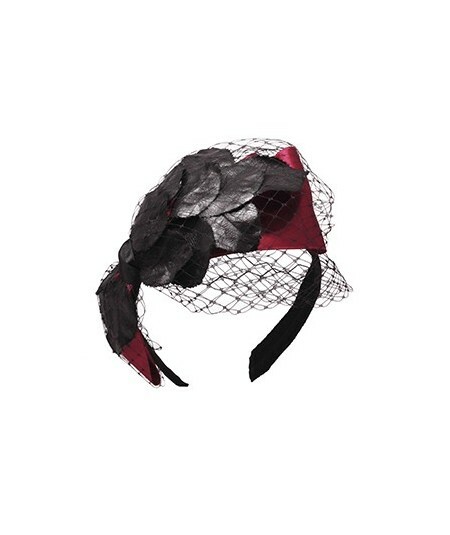 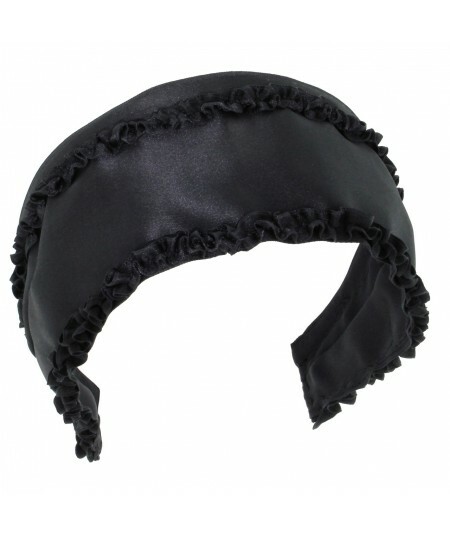 "Our Classic Veil Stylen1 1/2"" Wide Animal Print Headband Trimmed with Center Bow with Black Face Veil"